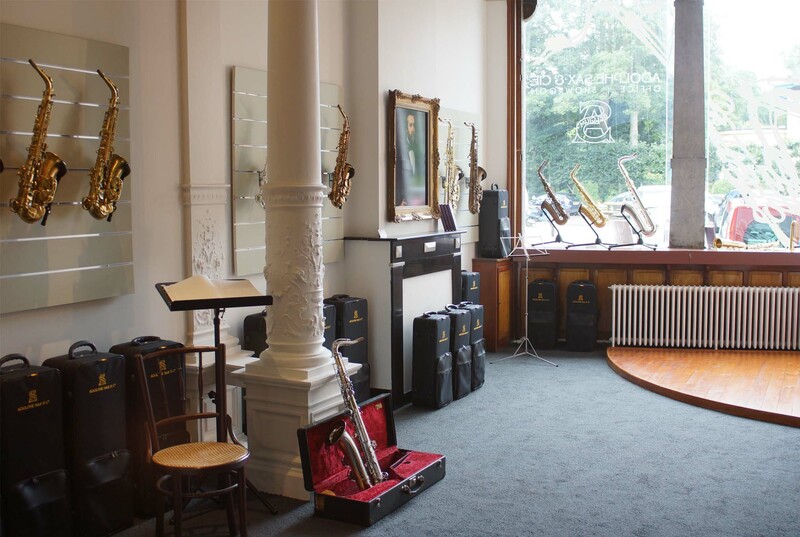 Our Adolphe Sax & Cie office and showroom are housed in a beautiful art-nouveau building in Bruges. Easily accessible by car with free parking, and within walking distance of the train station. 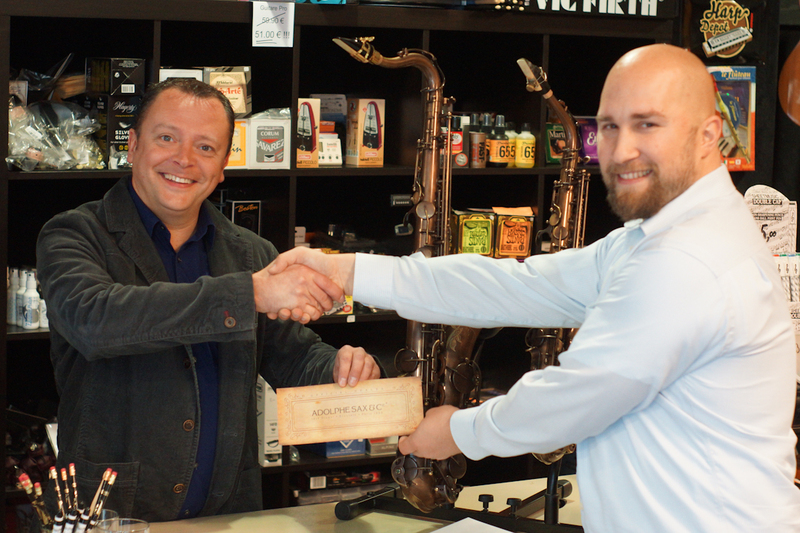 Here you are more than welcome to see and play our wide range of Adolphe Sax & Cie saxophones. Of course we gladly give explanations and advice. For repairs or revision of your current saxophone you are also welcome. Do you have a question? Please do ask us! We will respond here to frequently asked questions. 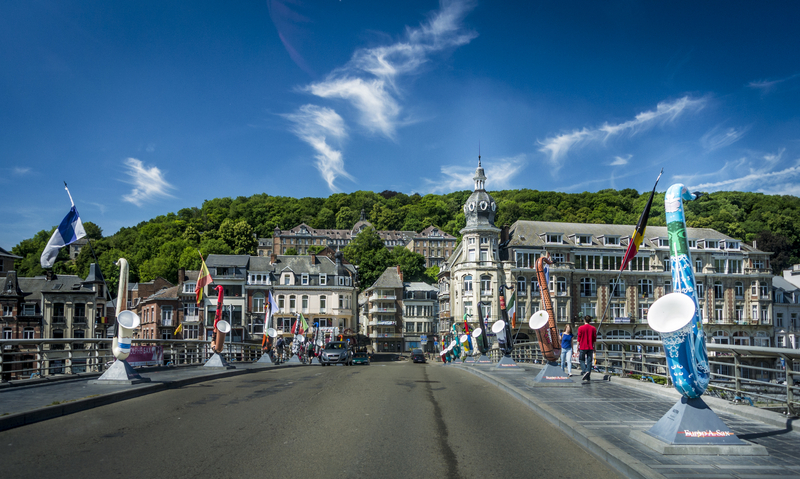 Dinant – Brussels – Paris – Bruges – do you actually have four different shops? He was born in “Dinant”, grew up and developed the saxophone in “Brussels”, moved to “Paris” to provide the French army with better instruments and produced his saxophone there. In 1894, he died there, aged 79. 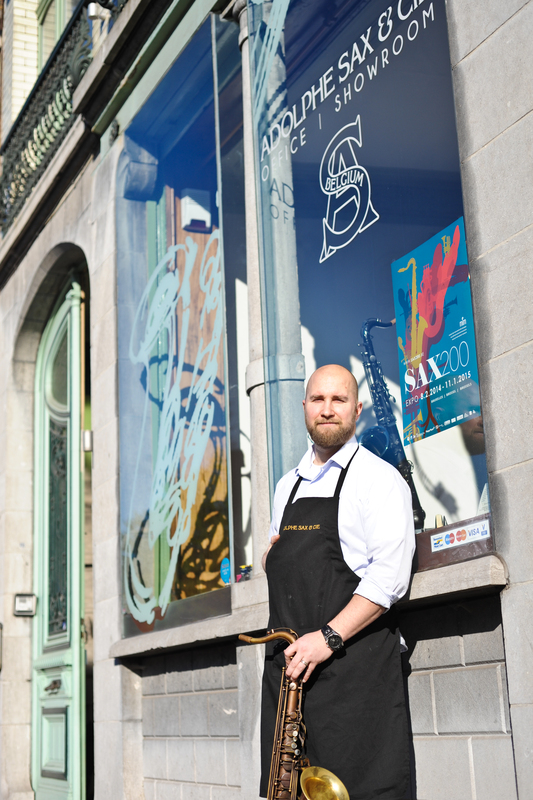 “Bruges” is the place where “Adolphe Sax” started his second life, when it was announced on 27 September 2012 that saxophones would once more be built under the name “Adolphe Sax & Cie”. What is the “& Cie” in “Adolphe Sax & Cie”? The “Cie” stands for “Compagnie” and can be freely translated to “partners”. 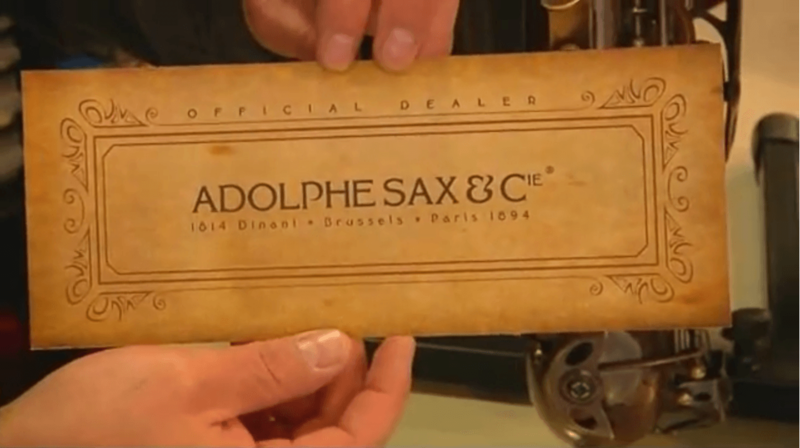 “Adolphe Sax & Cie” was also the name of Adolphe Sax’s first company. Earlier, he worked in the firm of his father. 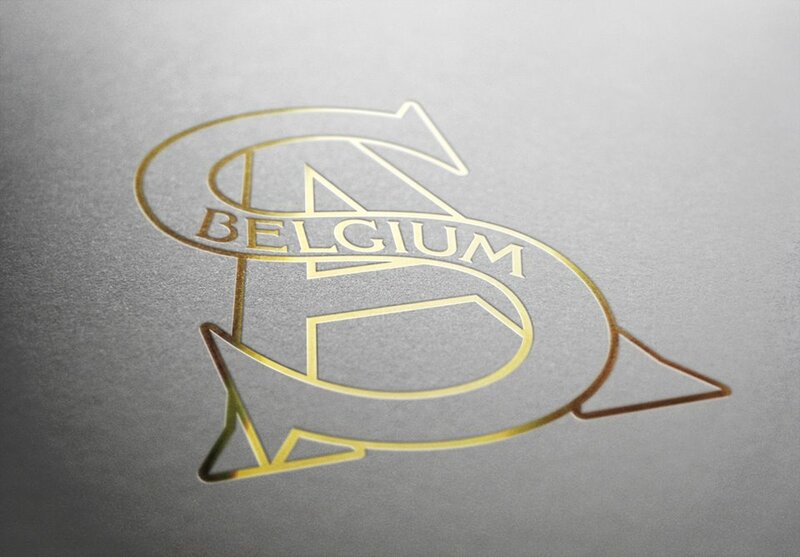 Are the saxophones already 100% “Made in Belgium”? Although we are already at the stage where we can put “Made in Belgium” on our instruments, all parts are not yet made in Belgium. It’s been about sixty years since saxophones were last made here, and it takes time, research and lots of money to build everything up again. Even though no other brand makes its saxophones 100% in their own country anymore, we would like to get to this point with our own instruments. there are more Adolphe Sax & Cie dealers. 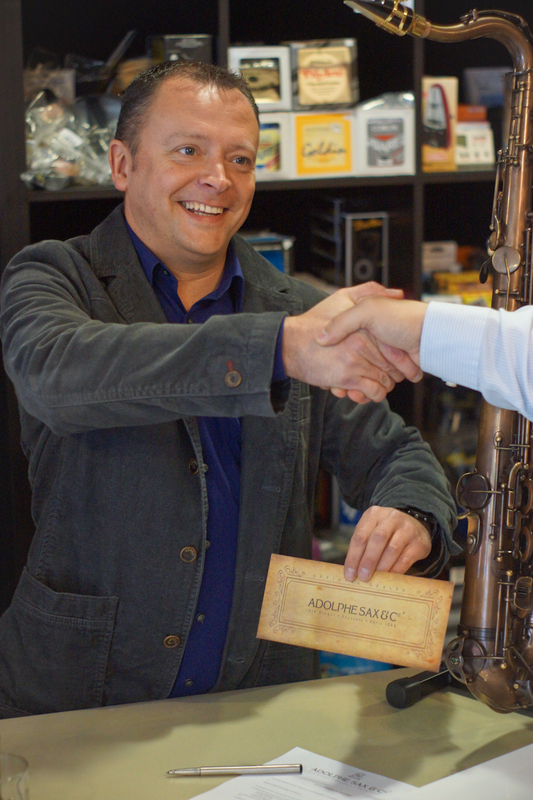 The “Adolphe Sax & Cie – official dealer” certificate is a mark of quality and guarantees you that, apart from a place that sells our instruments, you can also count on an excellent service after the sale. All carefully selected and recognised dealers have agreed to a code of cooperation, and will offer our instruments at the same conditions and warranty regulations.